The site is only in French. 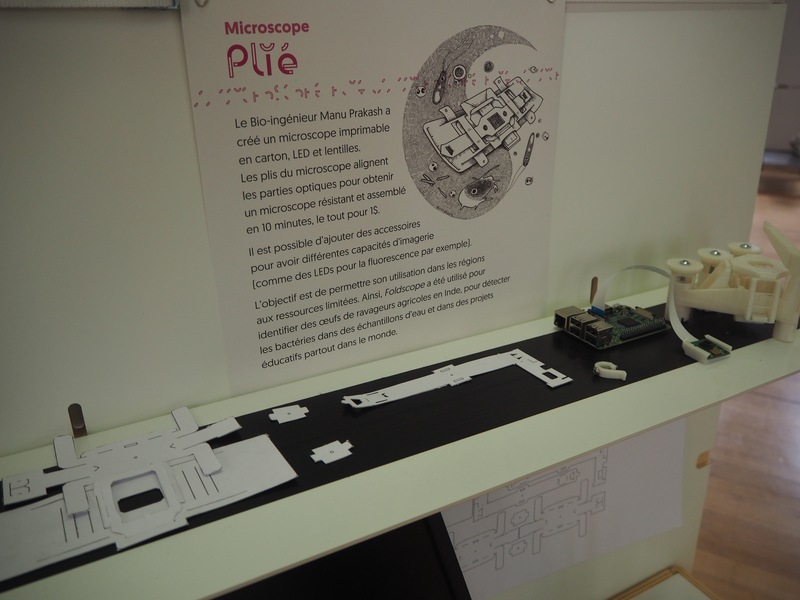 This page summarizes the key ideas of the “Frugal Science” exhibition concept. 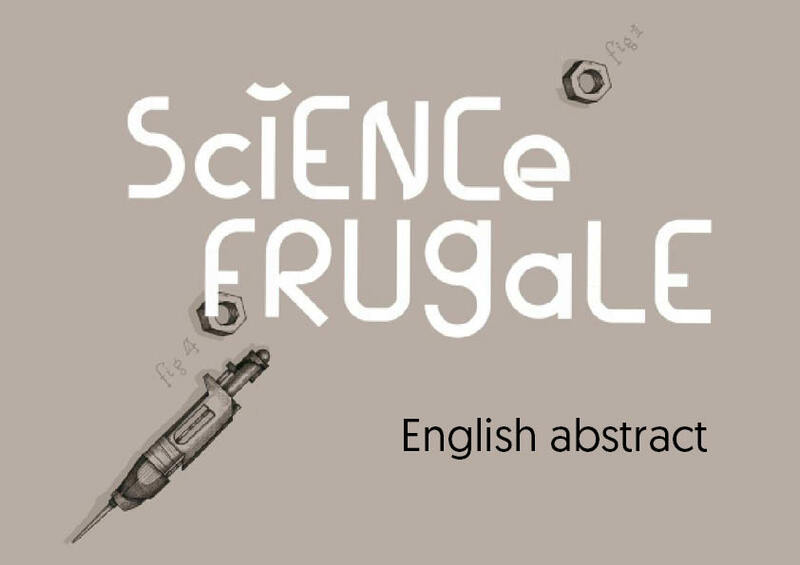 Science Frugale (“Frugal Science” in English) is a forum-exhibition (that is, an exploration) about how to reduce the cost of scientific instruments through recycle, reuse and a lot of creativity. 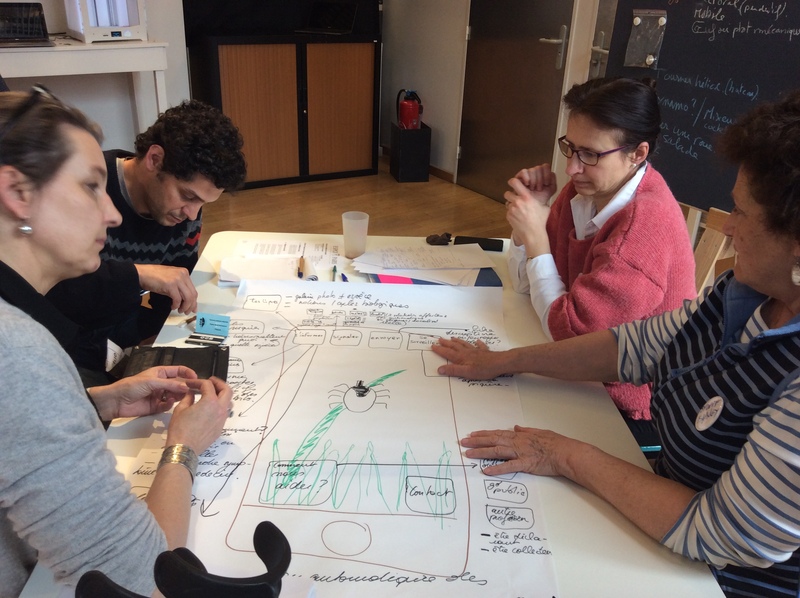 It places itself at the crossroad between scientific research, maker culture, and cooperation for development. 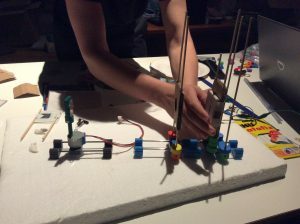 The forum-exhibition consists in three parts: an evolving gallery of frugal science projects, a workshop space, and a series of events, conferences and workshops. The gallery presents smart frugal science projects from all over the world. Many of them were actually presented to the public by their authors or leaders before finding their place in the exhibition. 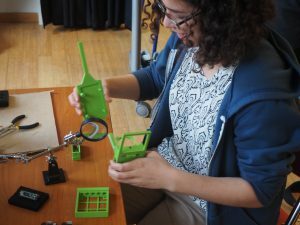 Examples of various projects: from the famous Prakash’s paper microscope, to spectrometers realized entirely from components of broken CD-ROM player, to the 3D printed and self made gynecological instruments of the GynePunk association. The Workshop space welcomes tinkering workshops and living-lab-inspired workshops exploring the frugal science approach. Almost all objects displayed in the exhibitions were built by the visitors in this space. Finally, a series of round tables, pitches, conferences and meetings bring the exhibition to life. 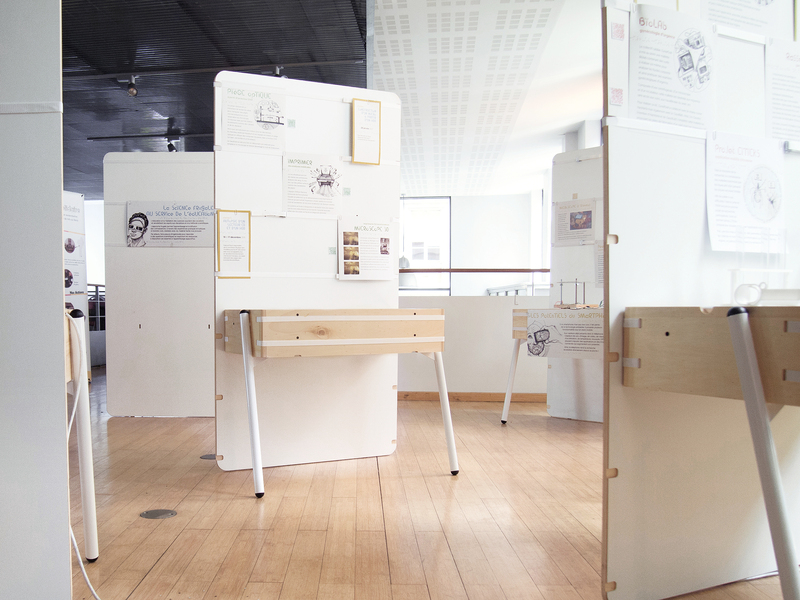 Most of the stories, examples, reflections displayed in the exhibition were identified, selected and framed within this events. The forum-exhibition Science Frugale consists of two phases. It begins with an incubation phase, lasting few months, in which the exhibition is produced. It is a work in progress, but it is officially open to the public. The incubation phase is followed by a “development phase”, in which materials are organized in a proper, light design. 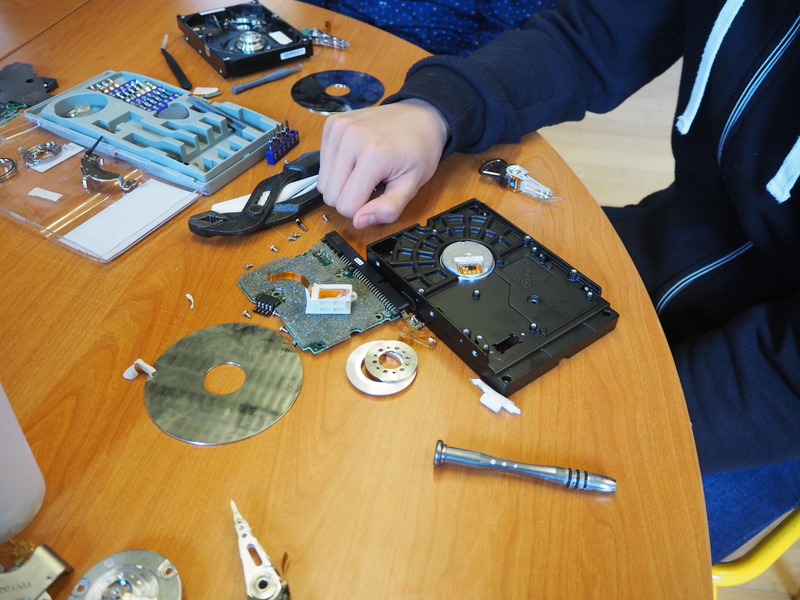 In this phase new items, new ideas, new examples of frugal science continue to be added until the end of the project. Science Frugale generates a peculiar relationship between science and the public. Indeed, almost all the displayed objects are built and conceived by the public, together with researchers. In these maker workshops, researchers and the public – ranging from retired engineers to children, from professional designers or teachers to curious parents – participate together, all finding their own interest in the activities. To the point that an external observer would not be able to distinguish who is the scientist, and who are the visitors. It is a wonderful way to bring people closer to research, and research closer to people. Science frugale also introduces some museographical innovations. 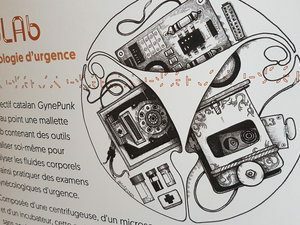 A purposely hired illustrator (@Colpizen) and an « exhibition narrator / biographer » (@Sci_Gale, a new professional figure that might soon become a standard in contemporary exhibitions) participate to the incubation phase and events, draw pictures, write short texts or tweets. These productions become parts of the graphic design and of the texts of the “real” exhibition. 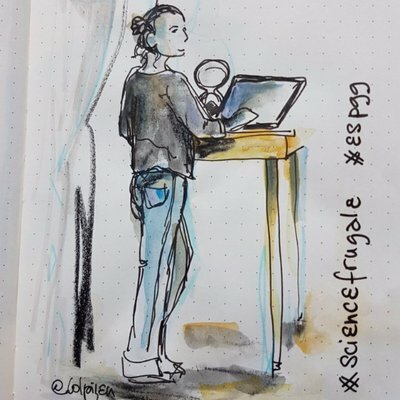 SciGale is currently editing blog posts (science-frugale.fr), including this article! 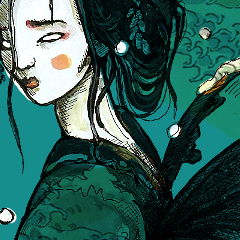 following the life of the exhibition as it evolves. Science Frugale has a low-resources philosophy, notably in terms of materials. Indeed, since all the objects are built starting from thrown away lab objects, computers and old technologies, the whole exhibition can be regarded as the result of reuse and recycle approach. The production costs are also highly reduced thanks to the building of the objects with the public within educational activities. The scenography was also conceived in this same philosophy, so that the exhibition-furniture is convertible. Once the exhibition will be over, the scenography will be transformed in tables for the educational workshop of our science centre (the life of the exhibition was planned from cradle to grave). Note: The forum-exhibition Science Frugale has at this stage only a national dimension. This is why all communication materials are only in French.